Australian novelist Lucy Treloar, author of the wonderful Miles Franklin and Walter Scott shortlisted Salt Creek (published this year in hardback in the UK and US by Aardvark Bureau), recently listed ‘some of her favourite Australian novels’ for Reader’s Digest UK. Here are a few books that I’ve read and loved; their styles, genres, and settings as rich and varied as Australia’s incredible landscape. Alongside novels by greats and great-already-and-soon-to-be-greater (you know who you are) of Australian literature, Lucy has listed my own debut novel, The Life and Loves of Lena Gaunt. A quiet and melancholy book filled with subtle detail. 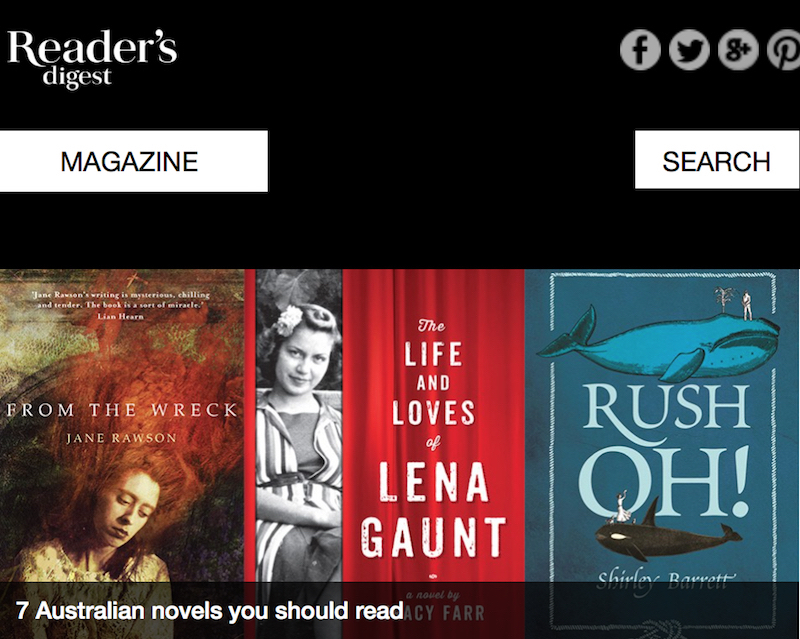 Read the piece in full online: ‘7 Australian novels you should read’. Read more about The Life and Loves of Lena Gaunt.